Designed for extending Network Signal & Power over Coax Cable (RG59) to a maximum distance of 2500m (600m with power). The extender has 4 BNC connectors supporting 4 Channels at the same time, each channel supporting @4-6 IP Cameras, with a max of 50watts of power per channel, network max rate of 100Mbps. 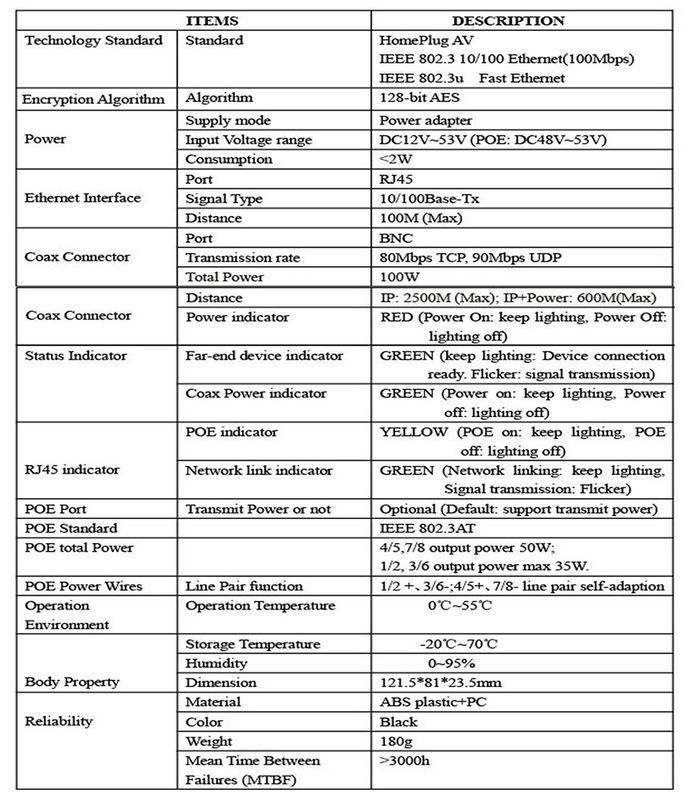 Widely used in CCTV surveillance for PoE IP Cameras.